Print off form and return it to address on form or collect one from Cottesbrooke Infant/Junior School. 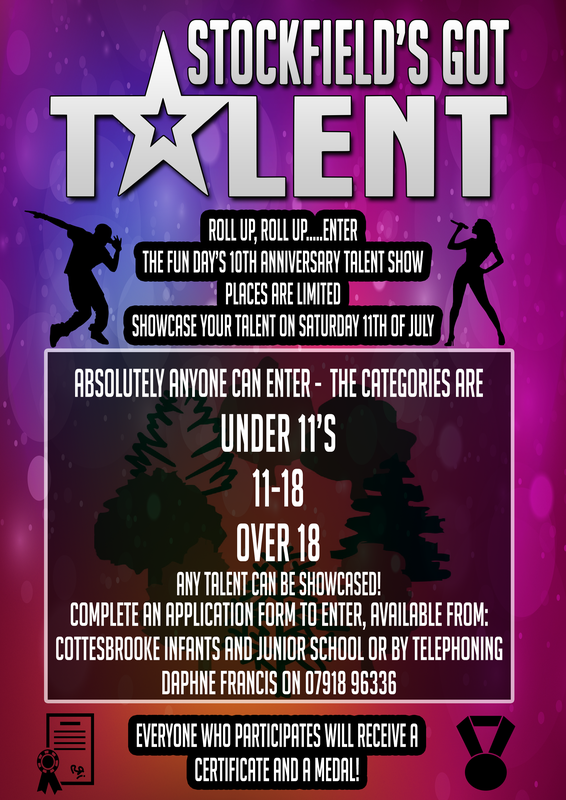 This entry was posted in Events and tagged Acocks Green, dancing, entertainment, performance, performing, singing, Stockfield, Stockfield Association, Stockfield Funday, stockfield park, Talent show. Bookmark the permalink. 1 Response to Stockfield’s Got Talent!